This is a joint exercise with Ryndaria.com. In the next few blog posts on both sites we will be generating characters, speaking about the process, the choices we made, and through that our reflections of the new Dungeons & Dragons PHB. One of the reasons we decided to parallel post our character generation process is we approach generation from opposite sides of the spectrum. I have more of a power gamer streak and character generation for me is all crunch and numbers; effectiveness and efficiency. For me character generation is like furnishing and decorating a bedroom. They all have the same core components: four walls, floor, ceiling, bed, door, closet, window or two. I can spend hours and money making it the prettiest bedroom, but there’s not much point if I can’t trust the ceiling to not cave in while I sleep. I want to have an effective character, I want its skeleton to be solid. THEN I can flesh it out and in doing so I already have a convenient frame to work off. Man, anatomy and interior decorating comparisons? This blog is going somewhere! Back to this again. Book, character sheet, and scrap paper in front of me I begin to skim over the race and class sections and think about what sort of combination I want to make. …And I remember how much I hate this part: going back and forth through the book, scribbling things down, double checking, fingers marking four different pages at once. Fourth edition made me lazy, the character builder made me lazy. For now the process is all right, before the dozen splat books hit and the table before you is shingled in open books every time you make a character. Luckily there is a character builder in the works for the new edition of Dungeons and Dragons. For me, I’ve tasted heaven and I can’t go back. Creating a character from the books is a pain, I spend more time looking things up and recording them than making the decisions of actual character generation. I used to be a hard line, point buy person. Point buy takes all the potential downside of rolling out of the equation. You know what you’re going to get and you can tweak it as needed. Unfortunately that strength is its greatest weakness: there are no surprises good or bad. This means you’re our of luck if you’re thinking of playing a class that suffers from needing multiple abilities to function. But I took a note from Brian d20monkey.com. Use the standard 4d6 drop the lowest and roll a handful of six-score sets. Choose the set you like the best. I like the approach because it gives you options. You may roll a set that middles out around a 13 average (set 2 below). You may also end up with a wider spread including a high 17 or 18, or a sub-8 score. After I finish rolling I like to tally up the modifiers to interpret the data. One design I have really liked in the new edition is +1 on attributes from race and levels. I used to avoid odd ability scores because they were worthless, there was no way to bump them just a +1 instead of +2 in other editions/systems. This edition’s use of +1 and +2 ability score bonuses/increases? Character generation game changer. Just from adding up the modifiers it was pretty clear which set I would be taking. You have the prescience of an unmodified 18 in your character’s main ability you have to take it. It’s an 18, you rarely see that many pips face up at one time. The other nice thing about taking an ability score set with an 18 is I have more versatility with my race options. I don’t have to choose something with a Strength bonus because I’m playing a fighter. A +4 off the line let’s me build a more interesting character. Next I return to the ability scores to see if it will behoove me to play with the odd scores when looking at race choices (next post). I made a warlock. I decided on warlock before cracking the PHB. But, I dutifully thumbed through the class pages anyway. 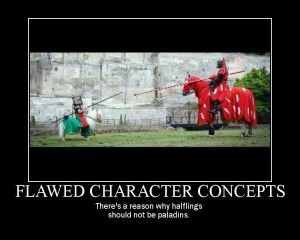 In the end the only opposition to making a warlock was maybe to set my sights on the paladin. I have more experience with the cleric and fighter in this edition thus far so I decided to stick with my first decision and make something that wasn’t basically a cross between cleric and fighter. I like the warlock, it’s like the cleric if the cleric was edgy. One problem I find with D&D’s caster classes is D&D magic is a mess. Everyone does it differently. Some are wild conduits of arcane energy, some are glorified arcana nerds. Some gain power through their devotion and others make literal contracts with extraplanar beings to access their power. It would be nice for D&D’s magic system to make some sort of sense, but I gave up that particular pipe dream a long time ago. The one downside of the warlock? Just like the cleric they gloss over the connection between the contracted and contractor. Even if it was something as simple as the compulsion from Darker than Black to ‘pay the price’. I just feel it should be more than an arbitrary RP element. After all wizards HAVE to prepare their spells and record them in their tomes or they can’t cast. Fair’s fair, is all. That’s it for now. Next time I will touch back on those odd ability scores, choosing the warlock’s race, and checking out the features of both race and class for the character. In the meantime make sure to check out the the parallel post over on Ryndaria.com, throw me a shout out on Twitter and Google+, and maybe leave a comment. 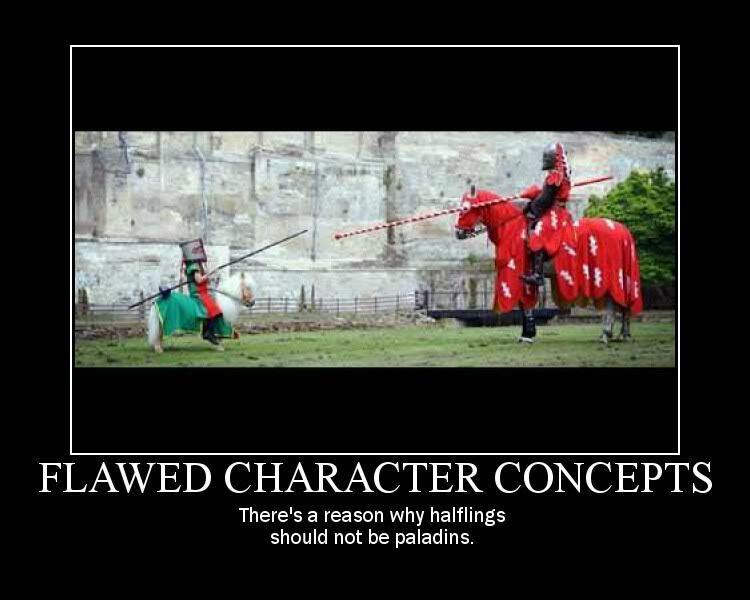 This entry was posted in Game Mechanics, Player, Review and tagged characters, Classes, D&D, D&D Next, DM, DND, Dragons, Dungeons, dungeons and dragons, Fighter, Game, Game Mechanics, GM, Magic, Review, RPG by redraggedfiend. Bookmark the permalink.